So being on a Ketogenic diet can be annoying at times. Main reason, carbs are so much of the foods we enjoy! 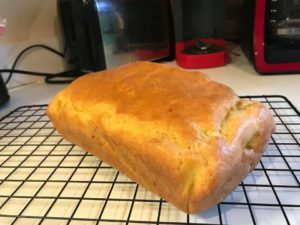 I have been experimenting with some recipes of my own, but have not had the courage to try to create a bread recipe of my own yet. 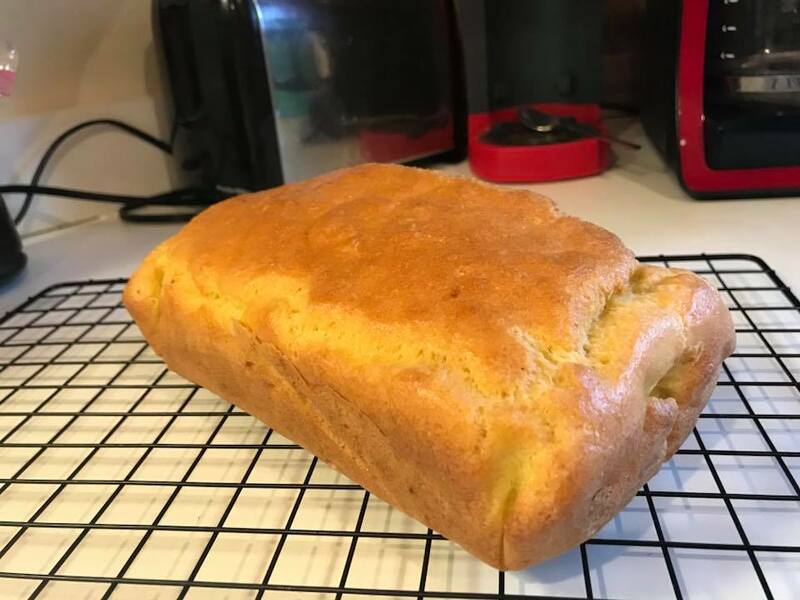 And here is the main reason why… When I think of baking a loaf of bread I picture kneading dough for 45 minutes then letting it rise, and maybe several hours later I get a lousy loaf of bread. 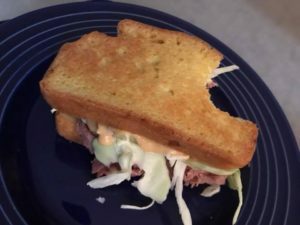 (I know, a slight exaggeration, and yes I am aware there are bread machines now, lol but seriously…) So I started googling keto bread recipes and found one that looked legit. 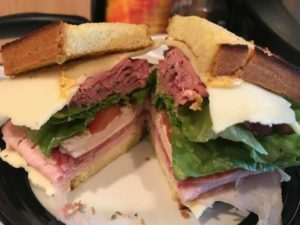 I mean… I wanted a sandwich! 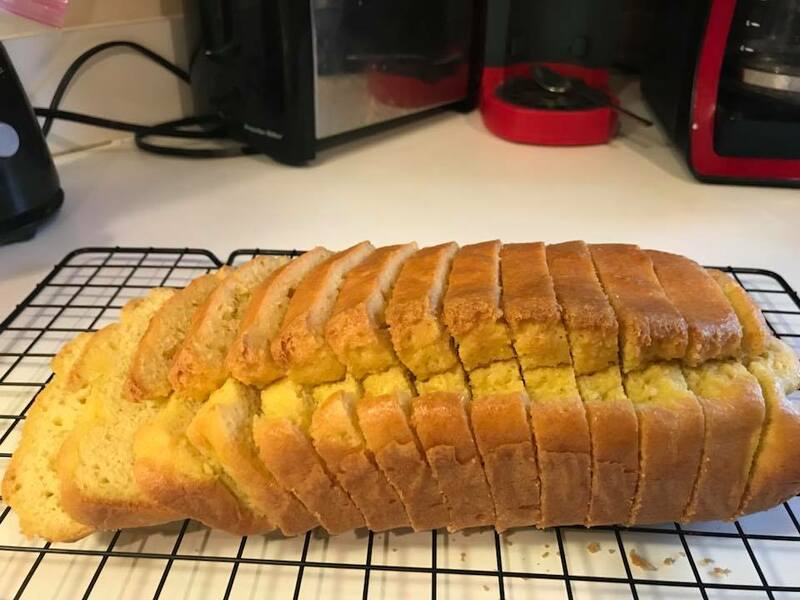 Not a breakfast or pastry style bread. I wanted a bread I could grill or toast, toss a stack of meat and cheese on it and call it lunch! Haha. 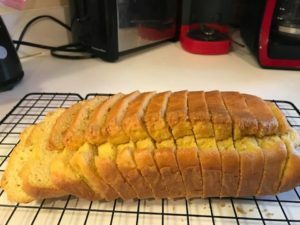 So I made the recipe, and the bread turned out great, so I wanted to share it here with fellow health and fitness peeps. This beautiful loaf of bread was super easy to make, it did not take a lot of time, and makes a damn good sandwich. So below you will find the link for the website for this amazing bread recipe, I felt I needed to share, and of course a bunch of pictures to show you the texture of the bread. 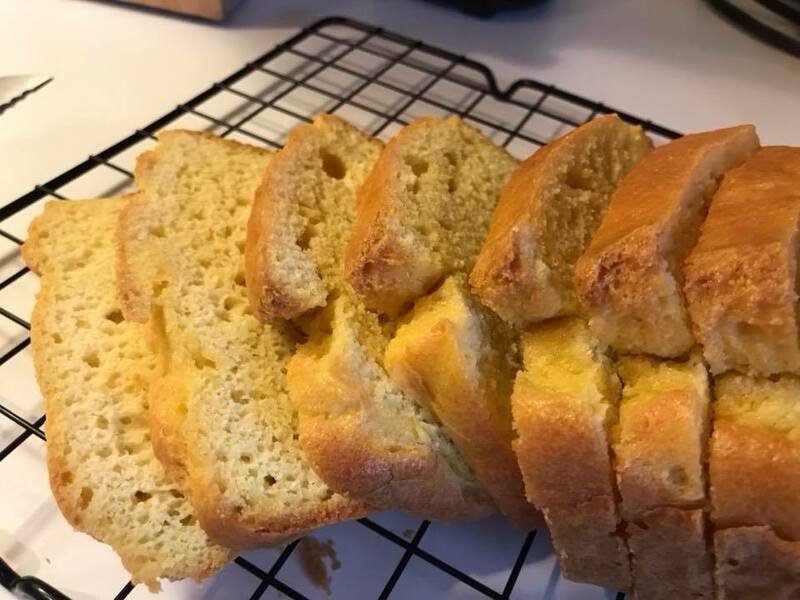 Not crumbly as many almond flour based breads can turn out. 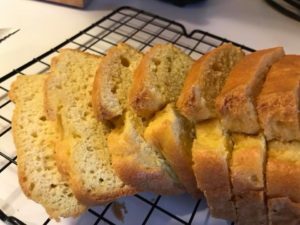 And not cake-like, as many coconut flour based breads turn out. Of course it is a little more dense than a typical, all purpose flour white bread, but it is delicious. This recipe is a good one. Below are some additional photos of this delicious loaf up close so you can see the texture of it. 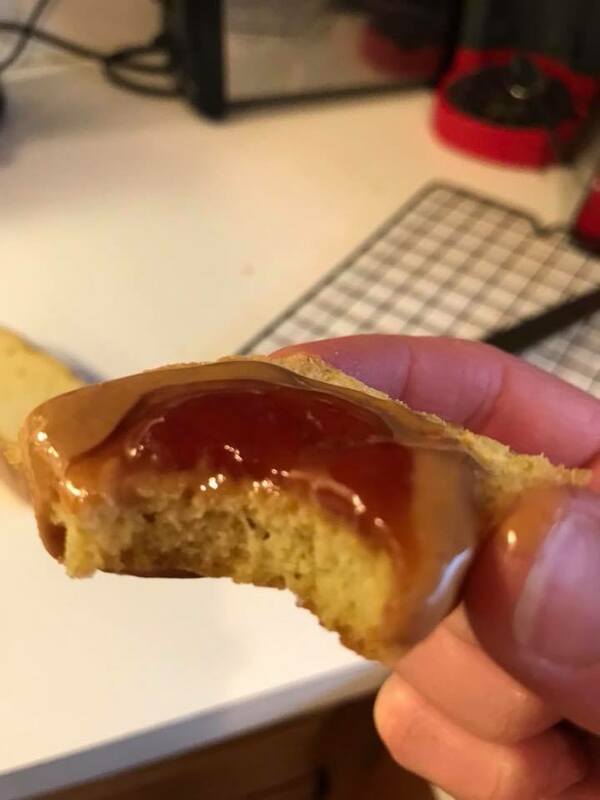 Try it toasted with peanut butter and jelly… Another favorite. Welp folks, it’s the 13th of March and we are snowed in! Snow days make me want to snuggle up on the couch in my sweats and watch movies, so that is exactly how I started my day today! But it isn’t complete without a hearty breakfast. 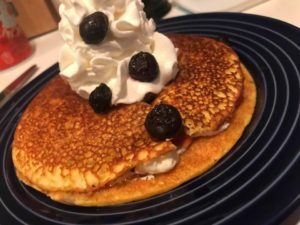 We had our eggs, but to accompany them I threw together this quick recipe for Macro Friendly Sweet Cakes (Pancakes)! Took about ten minutes to make… Check it out! Combine all of the required ingredients (Everything above the optional items). Mix thoroughly so batter is smooth. Heat up a skillet and spray with cooking spray. Scoop your batter onto the pan as you normally would for pancakes. When the pancakes start to rise and develop little bubbles, toss in some of the blueberries before flipping the pancake. Now, of Course you can add these into the batter if you prefer to do so, but this is the way I prefer to do it for a few reasons… One- it prevents the batter from turning blue! Two- It prevents the batter from separating around the blueberries (which sometimes distorts the shape of pancakes and can cause uneven cooking). 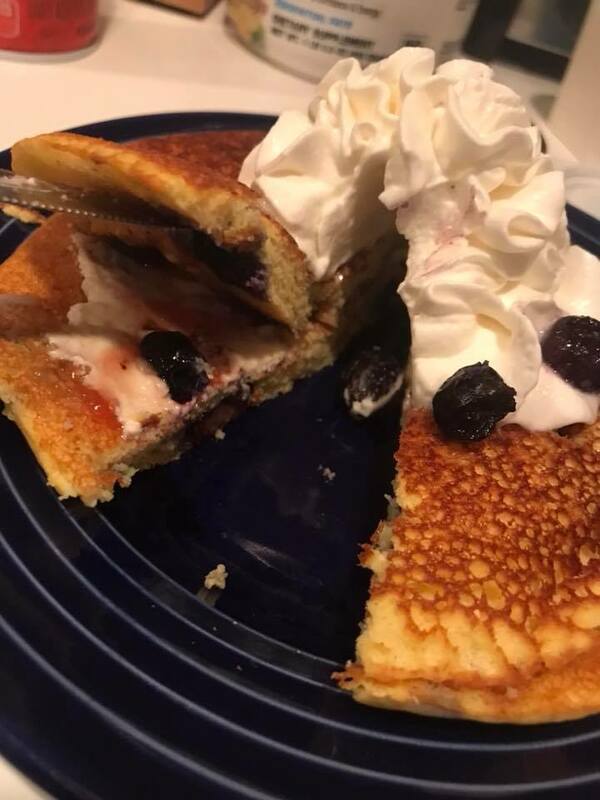 One the pancakes are done… If you choose to add the optional ingredients as I did… You can zap the cream cheese in the microwave for 10-15 seconds. Don’t cook it, just warm it so it doesn’t make your pancakes cold. Same thing with your Jam. If the jam is in the fridge, give it just enough heat to prevent it from making your pancakes cold. I spread the cream cheese and strawberry Jam between two pancakes, then topped with a little whip cream. And that’s it! You can enjoy these without the fruit and jam and cream cheese- substitute a little cinnamon for the blueberries, or enjoy with just maple syrup. Or even try other fruit… Banana Pancakes are the bomb if they can fit your macros, and are even better with cinnamon and walnuts…. Strawberry banana are a great combo as well! 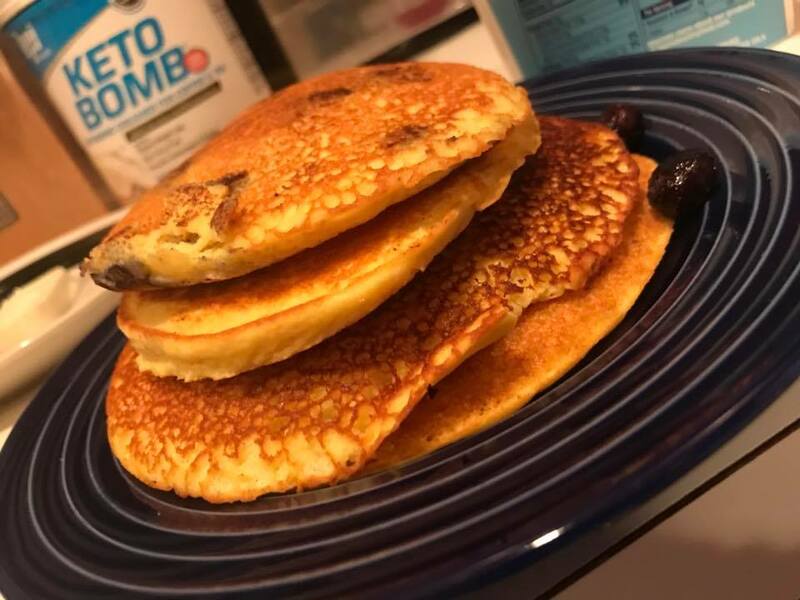 Macros (without Jam & Cream Cheese, but including Blueberries): Makes 3 Servings – 150 Calories per serving, 5.4g fat, 10.2g Carbs, 4.5g Fiber, 14g Protein. Anyways, hope everyone has a great snow day! Step One: Preheat the oven to 350 degrees. And spray a baking pan (I used an 8×8) with cooking spray. Step Three: Combine wet ingredients listed above- 2 eggs through Vanilla Extract (except the coffee! That comes later). Step Four: Add wet ingredients to the dry and mix until fully combined. Step Five: Slowly add in the hot coffee and stir until fully combined. 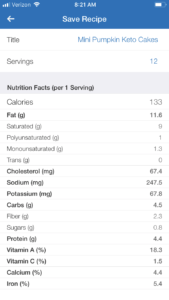 Makes 12 Servings: Macros: 113 Calories, 11.2g of Fat, 5.9g of Carbs, 1.8g of Fiber (so 4.1 net carbs) and 2g of protein. 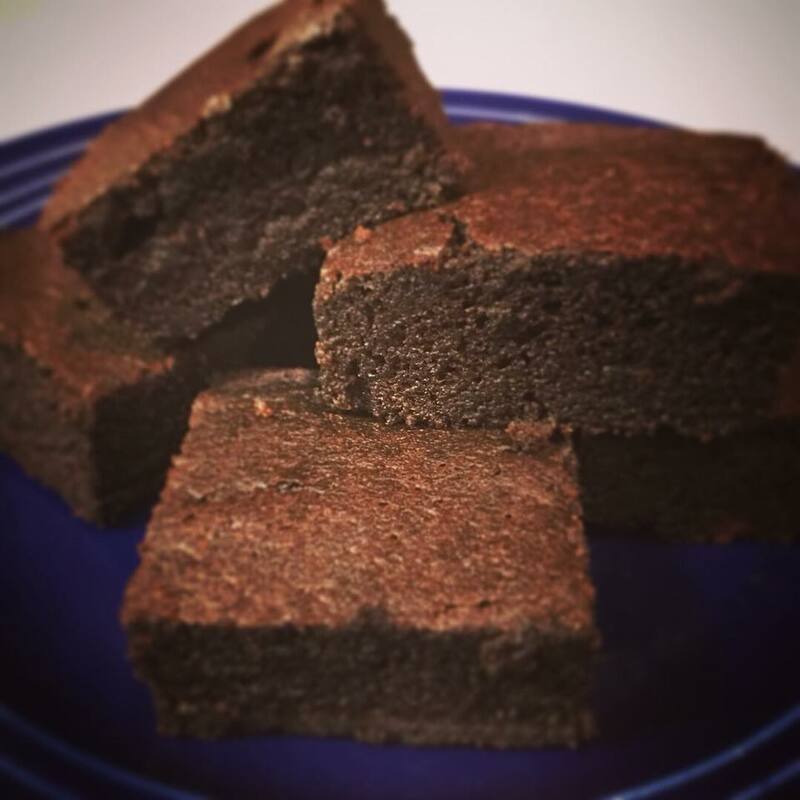 Please note- These brownies were moderately fudgey. 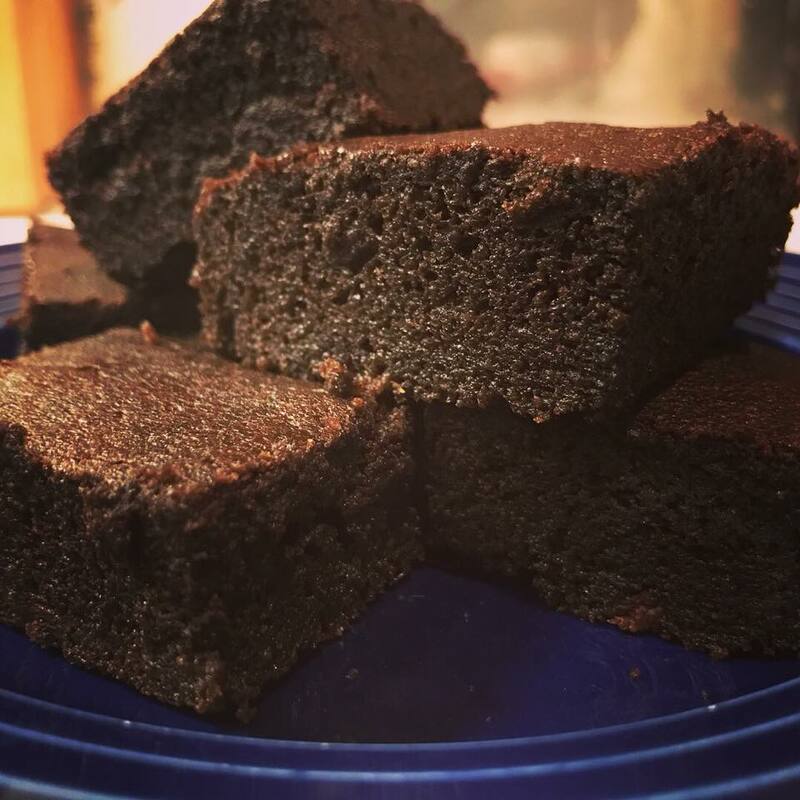 To make a fudgier brownie, simply increase the butter by about 1-2 Tbsp. But I’d try my way first, as there in my opinion were perfect! 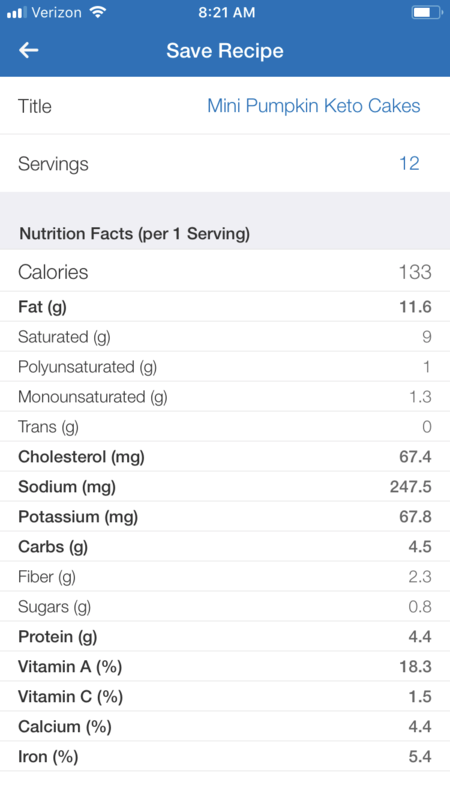 Please remember to adjust the macros accordingly as the above will no longer apply if you alter the recipe. 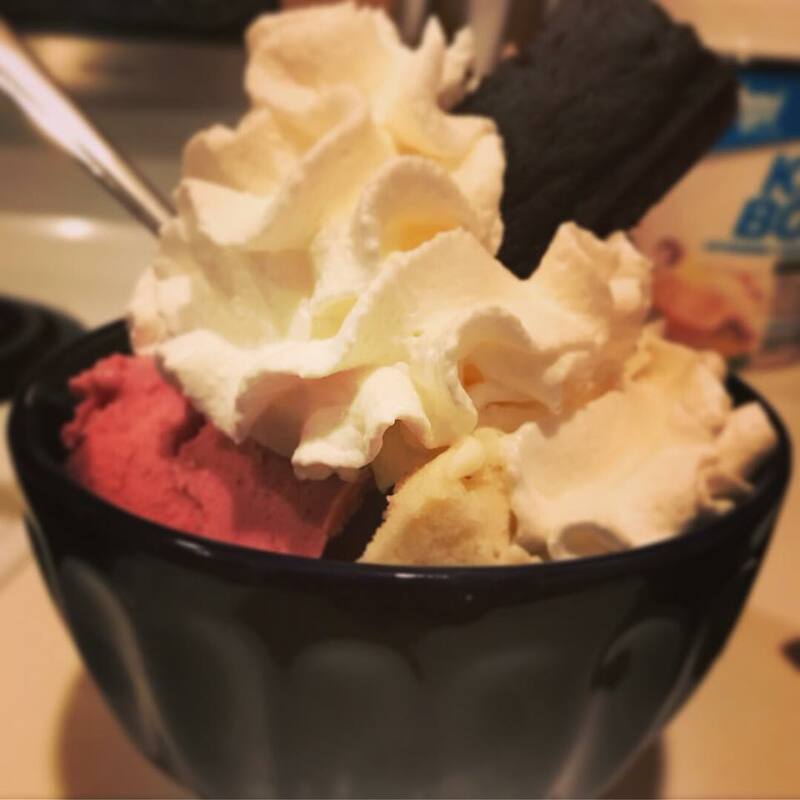 The above Brownie Sundae is made with my homemade brownies, Halo Black Cherry & Vanilla Ice Cream and Reddi Whip Whip Cream! When hot fudge is added to the sundae, we try to keep it to a minimal or choose a healthier option, taking into consideration the sugar, carbs and calories). 1-2-3 Approach- This is the most common, easy to follow plan. It involves balancing out your meals so they are 1 part fat, 2 parts protein, and 3 parts carbohydrates. While many people believe carbs are the enemy, they truly are not. Carbohydrates are our body’s main source of fuel. They are required for brain function, many metabolic processes in the body, energy, etc. It’s not the carbohydrate that is the problem, but rather the type of carbs we eat and the way we eat them that causes problems. Carbohydrates can vary in complexity based on their molecular structure. If you over consume carbohydrates and your body does not need them, then your body converts these to fat and stores them. Balancing out your meals and portioning them properly, coupled with spacing them out throughout the day – will regulate insulin levels, energy levels, and keep your metabolism in check. This diet is usually easy to follow and involves little you have to “give up” since you still get to enjoy foods like breads, pasta, potatoes, etc. Zig Zag Dieting involves eating a set, structured weight loss meal plan (balanced out macros) for a period of time (such as 3-5 days), then increasing your overall caloric intake to normal for a short period of time (1-2 days) and returning to the diet plan, then repeating this process. The idea and studies behind this plan show that the participants lost weight on the diet plan, gained a little weight back on the increase, but lost more weight each time they returned to the diet plan – thus overall achieving their goal weight without A- depriving themselves of the foods they love, and B- while training their body to adapt efficiently to the fluctuations. So your BMR is adjusting to the changes, rather that adjusting to just the new lower caloric intake. Carb-Cycling is not for everyone. But before I even get into this, let me say that there is a difference between carb-cycling and carb-loading and right now we are talking about carb-cycling… So Carb Cycling is great for vigorous training… But I wouldn’t recommend it to someone that leads a more sedentary lifestyle. This diet involves reducing your carbohydrate (and often overall caloric intake) for typically 1-3 days, then increasing your carbohydrate intake for 1 day that follows, then repeat the process, reducing again for 1-3 days, increasing again for one day, etc. Long term this is not really an efficient method of dieting as the former two are. In short it can prevent plateaus in weight loss/progress. When I did carb-cycling, I found the more low-carb days I had, the more effective it was. I did this in two programs- one was 2-3 low carb days followed by a high carb day, and the other was every other day was a high carb day. In the diet where I was every other day high/low carb, I wasn’t burning the carbohydrates fast enough. My low carbohydrate day was still 75g of carbohydrates on a reduced calorie diet (1200 calories) and 187.5 carbohydrates on my high carb days. I found my stomach was crampy and uncomfortable and it was effecting my overall performance in the gym and my energy levels. So again, great technique for athletic conditioning, not recommended for everyday lifestyle, and not recommended long term. 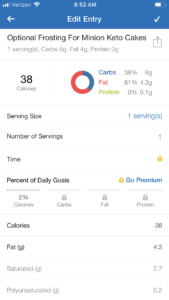 Low Carb/High Protein Diets are very popular. Protein is the building block for muscle and a metabolic staple in the diet world. There are so many different types of protein sources available, so this diet can fit many different dieters (vegetarian, vegan, carnivorous, grain-free, gluten free, etc.) The downside to a low carbohydrate diet however, is protein is not typically used as a fuel source for energy. In the short, this is a great program to burn off some excess body fat. Because the body is deprived of carbohydrates it will tap into fat stores for energy when carb sources are low or depleted. However, long term studies show that it lacks proper nutrition, and people were reported with fatigue, muscle weakness, headaches, cramps, diarrhea. The other downside to long term, is most people can’t stick to it forever! They miss the carbohydrates and want to enjoy them, and there is nothing wrong with that, other than when the carbohydrates are being re-introduced into the diet (often too rapidly) people put the weight right back on. If the rate of carbs are increased too quickly the body doesn’t have a chance to adapt to the change and naturally stores them as fat thinking it is a temporary supply. Low Carb/High Fat Diets, also known as the Ketogenic Diet are typically high fat, moderate protein and low carbohodrate. This diet is designed to use fat for fuel as opposed to carbohydrates. When the body is low on it’s main fuel source, carbohydrates, it will use fat for fuel (whether provided or stored). Protein is typically a last resort for fuel for the body, as it is required for more important processes in the body – like building muscle, repairing tissue, growth and development, etc. A Ketogenic dieter should use healthy fat sources, and try and choose nutrient dense vegetables with their meals that provide fiber. There are always cons to every diet, and it is important to remember that nutrient deficiencies are common in diets like this. Some side effects could include constipation (because the diet is low in carbohydrates, it may be lower in fiber which is why it is important to pay attention to the nutritional makeup of the foods you choose), nausea, bad breath and hair loss. Women also sometimes struggle with this diet due to hormonal imbalance. Again, every person will have different results and effects with a diet. Risk of side effects can be reduced if the dieter is aware of their nutritional needs and what the diet lacks. Supplementation of vitamins and minerals may be required. Ketogenic diet is not for everyone and can be dangerous for people with type 1 diabetes. It is important to consult with a physician and dietitian if you are unsure if this or any other diet is right for you, and especially if you have any health conditions. Reverse Dieting can be done on any diet plan. The process involves starting yourself at a set number of calories and slowly increasing your caloric intake over time to adjust your metabolism to be able to burn more calories more efficiently. So for example, if I started my diet at 1600 calories for a week or two, the follow week I may increase it by 100 calories to 1700. If no weight is gained, my body has successfully accepted the change and I can attempt in the following week to add another 50-250 calories (depends on size of person/diet/etc.). If weight is gained, the following week I may reduce it to only 50 calories, so 1650 instead of 1700. Everybody’s bodies react differently to changes in the diet. So the results will vary and it may take one person 5 weeks to go from 1600 calories to 2500 calories, and it may take another 10-12 weeks to get comfortable with that same adjustment to caloric intake. Intermittent fasting is the last diet I would like to mention on here. This diet has been around for a really long time and can be coupled with other diets/methods. This process involves fasting for an extended period of time, typically in the beginning of your day to allow the body to tap into carb and fat storage for fuel. It is not for everyone. Some people prefer eating every 3-4 hours starting from the time they wake up. People that work rotating shifts may not like this diet. It really just depends on the person. On intermittent fasting you should still consume water during your period of fasting, some people also incorporated BCAA’s or a BCAA /Electrolyte Blend. Staying hydrated will keep your metabolism in check, so you don’t confuse the body into thinking it is starving. When the body feels starved, it slows down your metabolic rate, to preserve energy. It is important to understand not only your body, but the diet you choose. 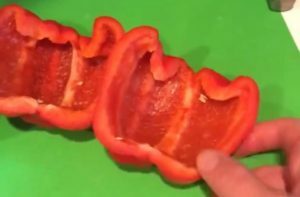 Every person is going to react differently to different diet techniques. What works for some, does not always work for others. There are so many factors that play into the results and success (or failure) of a diet. Things like lifestyle and habits, climate, allergies, body type, digestion, stress, genotype, etc. Just so many things that play into your results. This is especially important to know when you read about research studies that involve dieting. If it works for 75% of a control group, it still might not necessarily work for you, and that is okay! No reason to be discouraged, you will find what diet approach IS best for you! The body doesn’t understand what you’re doing, it’s like a machine or vessel, constantly running all these metabolic processes, chemical reactions and building and breaking down compounds to efficiently run and survive. It’s like when you’re driving your car… If you’re two minutes from a gas station and out of fuel, the car doesn’t know “hey I’m only two minutes away I can make it”…It just knows it’s missing a component of what it needs to run…Fuel. The body is very similar. It doesn’t know what you’re doing, it just knows how to use what you provide it with. So having a nutrient rich, healthy diet is important. If you choose a diet that may have vitamin or mineral deficiencies, consult with a doctor or specialist and find what supplements you will need to nourish your body so it does not feel deprived. Lastly, the idea of dieting shouldn’t be torture. Find an approach that will help you be successful. Be comfortable with it. Embrace the change and the challenge. Believe in yourself. And love yourself and your body. Fuel it right, no matter what the diet approach. Good Morning! I know some of you saw the photos on my instagram (rptrainer425) of this delicious chicken soup. 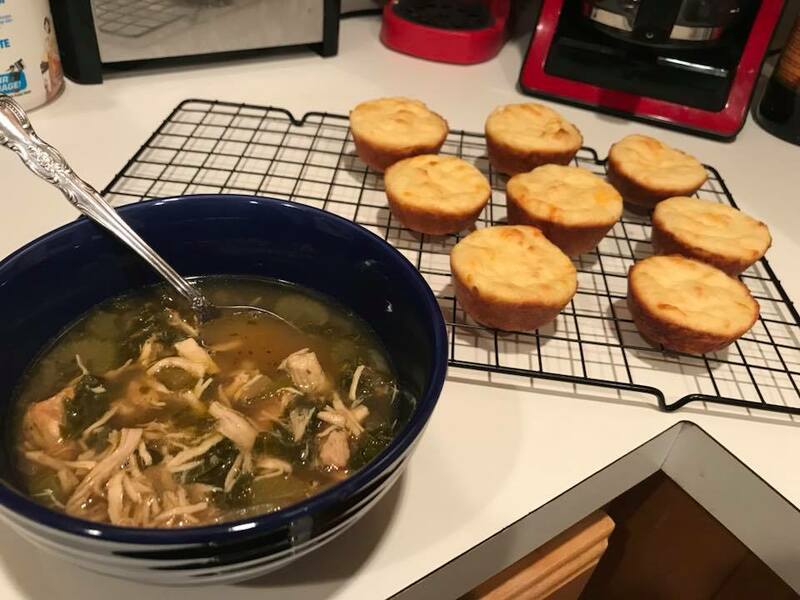 So here is the recipes for both my homemade soup, and a recipe I tried for Cheesy Garlic Biscuits to serve with the soup! 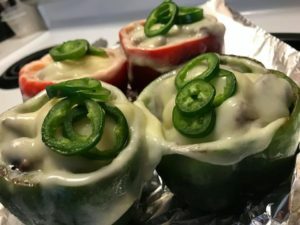 The Keto Chicken Soup is my recipe. 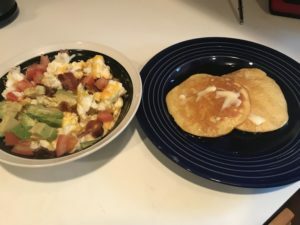 I went to the grocery store for our meal prep shopping on Friday and thought… “What can we have in chicken soup that won’t knock us out of ketosis?” It has been rather dreary the last couple of days here… We are having rainy, snowy, cloudy days most of this week, so I was thinking comfort food. With this weather honestly, Panera Chicken Noodle with a huge hunk of baguette, is a weakness of mine. Haha. So to avoid ordering Panera on my way home from work, I opted to make some soup. Step One: Cook your damn chicken! 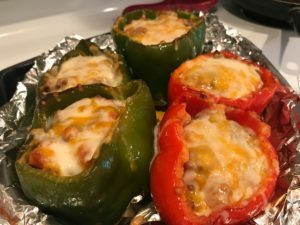 – I did mine in a crock pot. I prefer the chicken to be sort of shredded like a pulled chicken. It’s easy and moist, and compliments the soup well. But you can bake your chicken or even boil it if you prefer. I clean up my chicken- removing any tough spots, fatty pieces, tendons, etc. 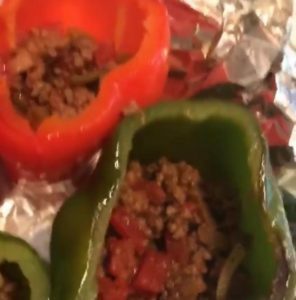 and toss into the crock pot with a little oil and seasoning of my choice. 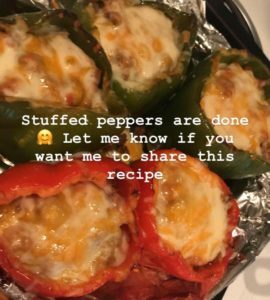 I personally like BBQ rub or rotisserie seasoning because it gives it a nice flavor, but will be mild enough (because I am cooking it in the crock pot) that it won’t take away from all of the other flavors in my chicken soup. Step Two: While my chicken is cooking, I set up a large pot on the stove with the butter and minced garlic. I turn it on medium heat and let the butter melt and the garlic get frangrant before I add the 10 cups of chicken broth. Step three: Wash your veggies and chop ’em up! I cut up the kale, onion and celery and add to the chicken broth. (Note: I keep the largest onion skin pieces and toss them in the soup while it cooks. This adds flavor and color to the soup. Step Four: Bring the soup to a boil then add seasoning of your choice and simmer. For seasoning I added a little garlic and onion powder, black pepper, a little oregano, and a bay leaf. Step Five: I let the chicken soup simmer, until the pulled chicken is done. I drain the crock pot and shred my chicken (not too fine, but rather fairly large shreds). Step Six: Slowly add the pulled chicken and stir into the soup. Let it simmer another 10-15 minutes. Step Seven: Remove the onion skin and bay leaf from the soup. Package or serve and enjoy! 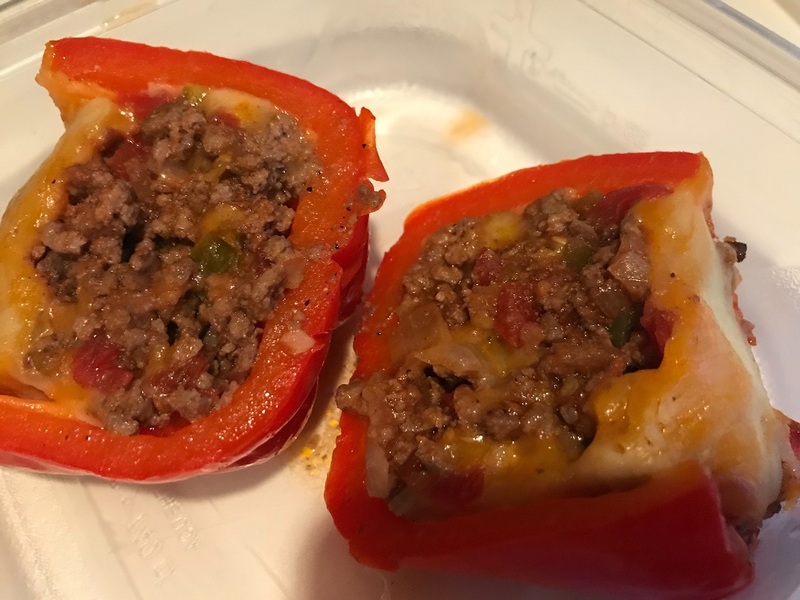 Makes 6 Servings: Macros: Roughly Per Serving: 212 Calories, 5.7g Carbs, 1.2g Fiber, (4.5g net carbs) 9.2g Fat, 27.4g Protein. One of the advantages to being a baker and a macro counting fitness fanatic is that I often find ways to make the sweet treats we love into something that fits our diets. This morning I was starting our meal prep, and realized I had a cup of pumpkin in the fridge from a few days ago. Pumpkin doesn’t really last long once you open the can. So I was trying to think, how could I use this? 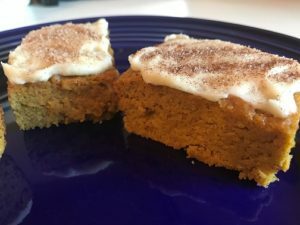 And this was the result… Mini Pumpkin Keto Cakes! Pre-heat oven to 350, and spray a 9×9 or 9×13 baking pan. Combine dry ingredients in one bowl, and wet ingredients in another. (If Coconut oil is solid, melt it to a liquid state.) 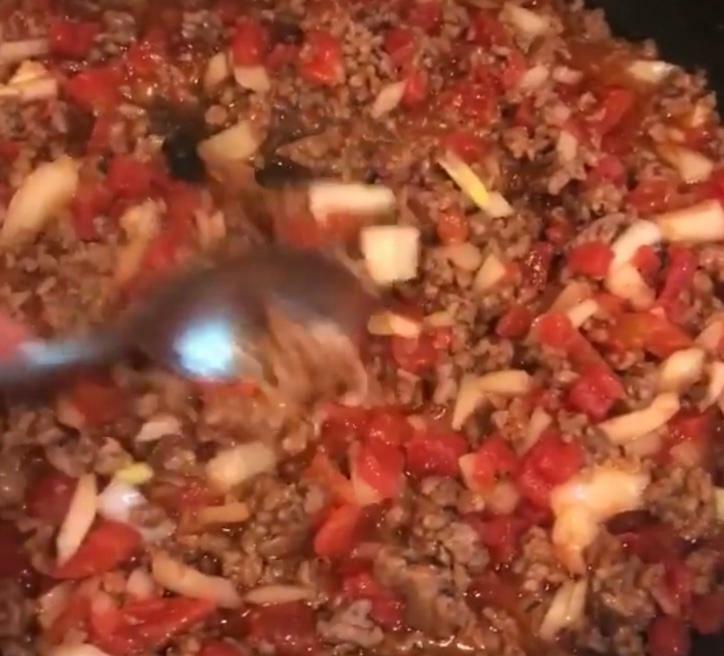 Add the wet ingredients into the dry. Mix thoroughly. Transfer the batter into your greased baking pan. 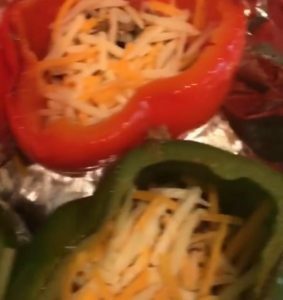 Place in oven for 30-40min. Toothpick to test! 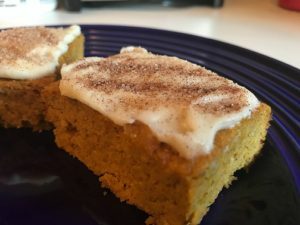 Frost the Keto Cakes and sprinkle with a little cinnamon and stevia. Enjoy! Also, please note this recipe is keto because that is the diet I currently follow. You can easily alter the recipe and substitute the coconut oil and the eggs out, to have this fit a lower fat diet. Hope you guys enjoy this recipe! Stay tuned for more! 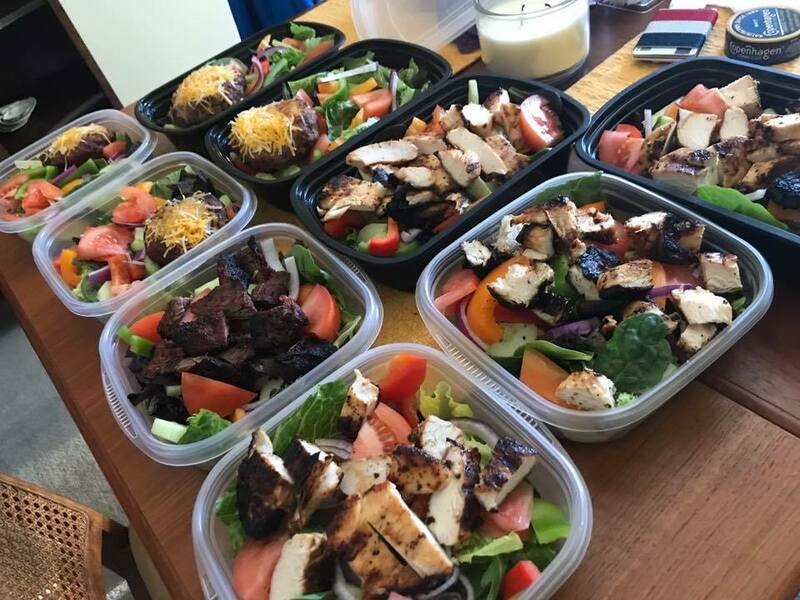 Meal Prep seems to be the hot topic lately… When people reach out to me, often times their number one struggle is diet. Sometimes they ask for easy recipe ideas for family dinners, other times they ask “where do I start”. 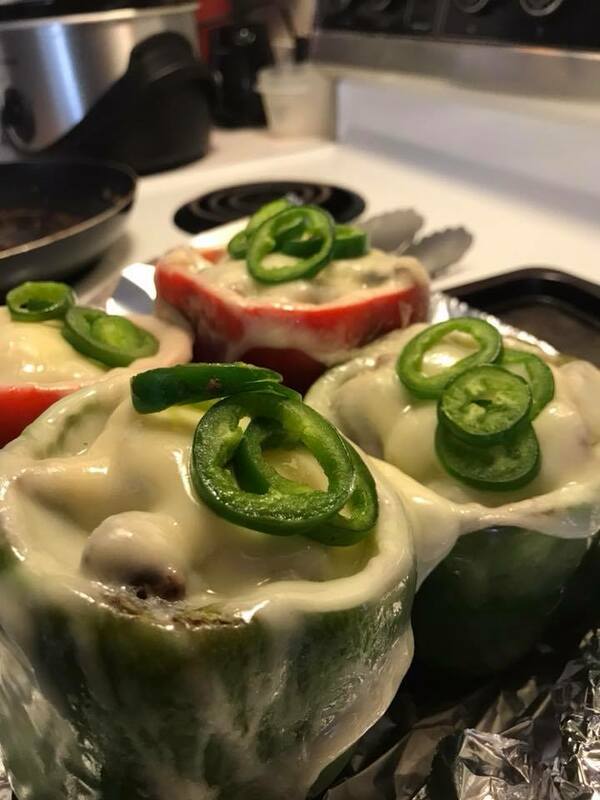 So I am going to try to share more meal prep posts both on my Instagram (Rptrainer425) and on here. For Starters, the key to success on a diet or meal plan is meal preparation. You need to plan ahead and be aware of what fits your diet if you plan to stay on track. 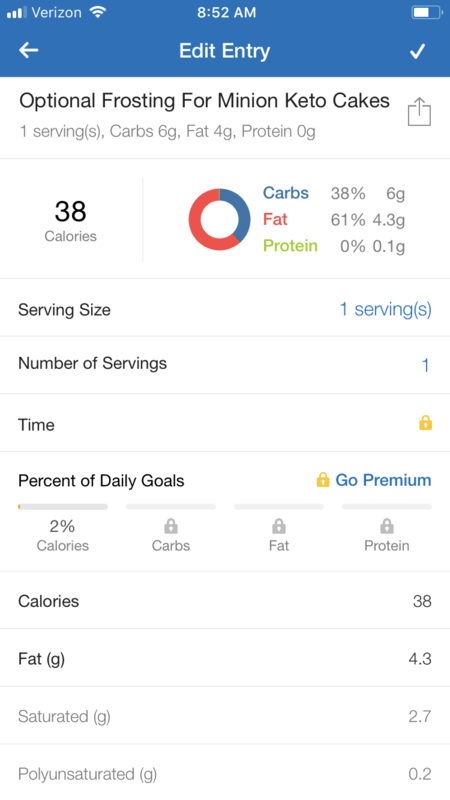 I use myfitnesspal, but there are a variety of apps these days you can use to track your meals. Plan your day-to-day meals and even plan your cheat meal(s). You need to pack your snacks or meals if you leave the house for long periods of time – for work, or errands, or an afternoon out with friends or family. You need to remember to stay hydrated, and keep enough water on you if you’re out and about. Trust me, I know it’s hard… It takes practice, and self-discipline. It takes courage, and time and patience. It takes a strong desire to overcome challenges and achieve greatness. True story… My coworker ordered a pizza a couple of weeks ago and put it right outside my office door, and repeatedly offered me some. I didn’t have any. The same coworker brought in a bunch of Girl Scout Cookies and left those also right outside my office door. Again, I didn’t have any. And then on Friday, my office had a going away party for one of our employees, and ordered a bunch of pizza, salad, and cookies. I sat for the entire luncheon with them, but managed to not touch a thing! I ate the lunch I brought, and drank water. Trust me, I know it’s hard… But in time you develop strength; You develop will-power; You develop a desire to put your goals ahead of temptation. And you realize what is worth it for you. Hopefully this post got you guys realizing that being in the right mindset is an important part of success, even more so than meal preparation. We all start somewhere, but the difference between those who are successful and those who are not, is often the commitment or lack their of. So today I’d like you to reflect on this, and get committed to your goals. Write them down, prioritize them, learn them, get comfortable with them. Repeat them to yourself regularly. Then we can get into types of diets, and proper meal preparation for them in my new few posts! So stay tuned!